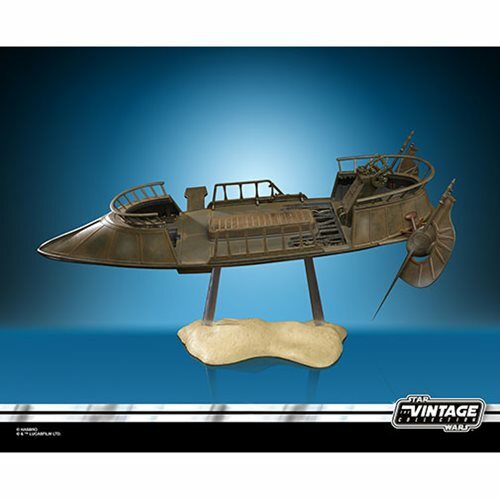 Add two of these to your Sail Barge diorama to reenact the battle at the Great Pit of Carkoon! The first all-new Skiff since the 1980s! 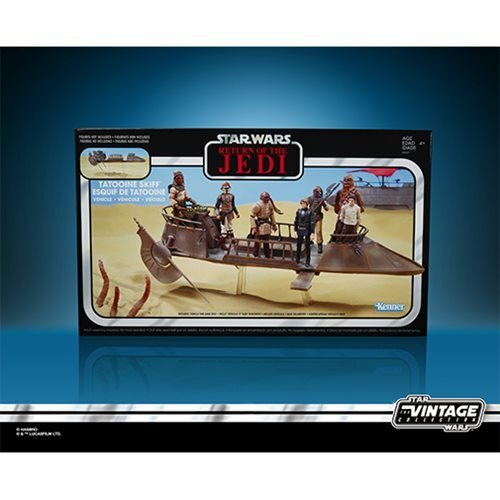 Exclusive 3 3/4-inch scale vehicle based on Return of the Jedi. 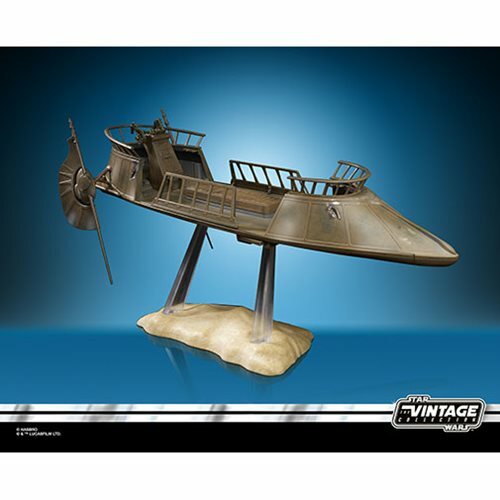 Incredibly detailed, it features an extendable gangplank, movable rudders, and removable deck panels! 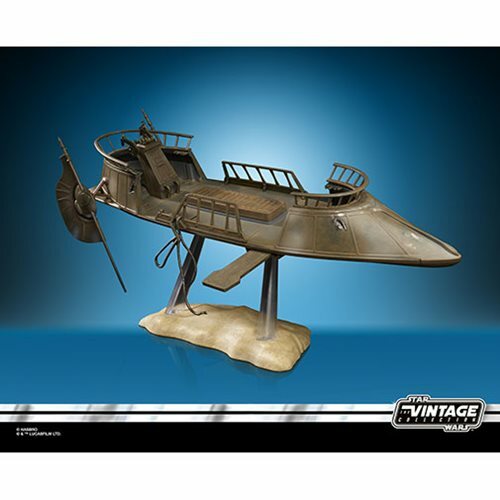 This remarkable Star Wars The Vintage Collection Skiff Vehicle - Exclusive is the first all-new Skiff since the 1980s! 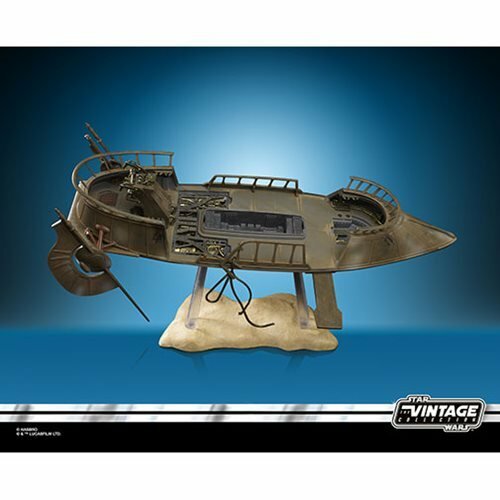 In 3 3/4-inch scale, it's an incredibly detailed vehicle based on Return of the Jedi that includes a display stand that lets it "float" over the Great Pit of Carkoon - on a rod, that is. 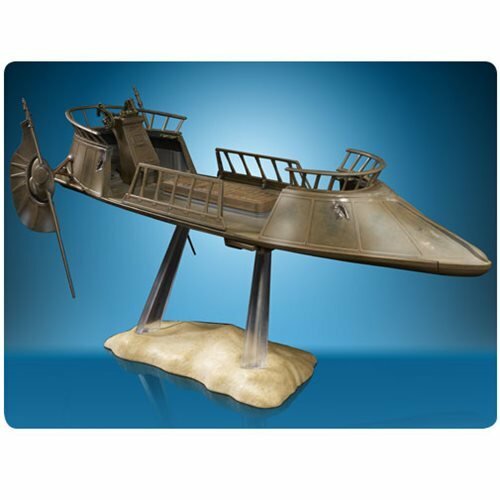 In addition, it features an extendable gangplank, movable rudders, and removable deck panels so you can see what's inside! The Skiff is a terrific companion piece to the huge Barge vehicle you may already have in your collection, and you'll want to order the Star Wars The Vintage Collection Skiff Guard Action Figure 3-Pack - Exclusive so those no-goodniks from Tatooine can protect it for you. Barge and figures sold separately. Ages 4 and up.